Unlimited Monthly Eyelash Extension Fills! It’s time to make a statement. Book an appointment with Eyelash Club, for your Classic, Hybrid and Volume eyelash extensions. Say Goodbye to Mascara & Hello to Unlimited Fills! Are you ready to finally toss out that old, frustrating mascara that dictates the outcome of your whole day? 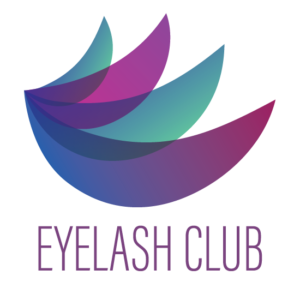 Centrally located with two locations in Tempe, AZ, Eyelash Club is the perfect eyelash extension salon for all of your eyelash extension needs. We offer UNLIMITED EYELASH EXTENSION FILLS for one low monthly price – and since the average person loses 1 to 5 natural eyelashes a day, that means you can come in for a fill as often as you like! Every new member to the club gets an entire month of unlimited fills included with your first full set. With unlimited monthly fills, prices and service which can’t be beat, Eyelash Club is your premier salon for eyelash extensions in Tempe, Mesa, Scottsdale, Chandler, Gilbert or anywhere you live in the Phoenix Metropolitan area. Welcome to the Eyelash Club. We strive to help our clients transition to a much simpler lifestyle, by tossing out the crusty mascara and eyeliner for good! At Eyelash Club, we pride ourselves on making women feel effortlessly beautiful and confident everyday. Whether you’re coming from a workout, waking up, or just simply don’t have time to do your makeup – eyelash extensions are your solution! Our mission is to provide our clients with high quality eyelash extensions at an affordable price! Eyelash Club provides only the highest quality, semi-permanent eyelash extensions which are applied by our profoundly passionate and expert eyelash techs. Through maintaining a professional, clean and friendly environment, we seek to establish a long-lasting relationship of trust, consistency and commitment among all of our clients.